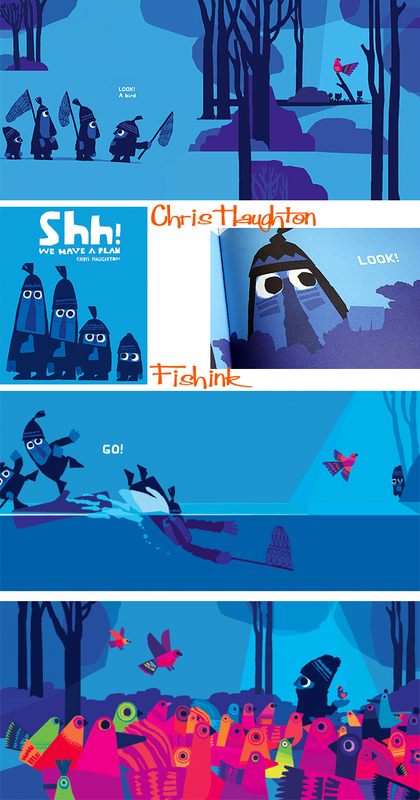 Illustrator Chris Haughton, who I was lucky to do an Illustration Masterclass with last year, has a brand new Children’s book called Shh! We Have A Plan. The author and illustrator of ‘A Bit Lost’ and ‘Oh No George !’ has crafted another wonderfully simplistic book. Chris is great at building up the page turning tension in his books. This always goes down well with young readers and listeners alike. 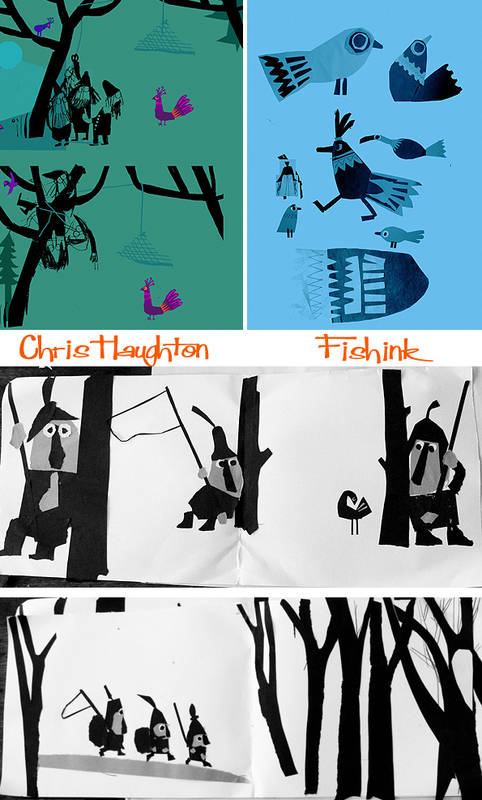 Chris gives a detailed description of his ideas for the book over on his blog here. I like the way that he shows his workings, sketches and thought progressions there too. Early sketches below. You can see how the image above translated into it’s digital book version by scrolling back up and comparing the two. 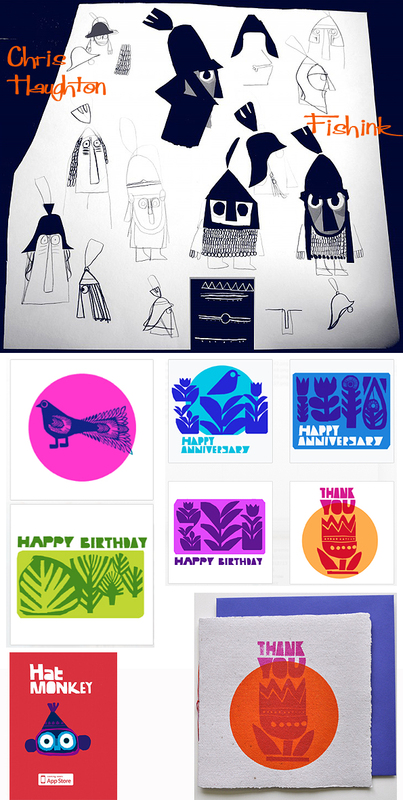 As ever Chris is also helped to establish Kipepeo cards in the Kibera slum in Nairobi, Kenya, where a group of local women hand screen print this great range of Chris’s designs. You can purchase them here. Chris says ” The intention with setting up this screen print facility is to be able to produce many other new designs, if anyone has some saleable designs that they would be willing to volunteer, I am sure they would be very gratefully received.” Great idea and as ever fab work Chris. ← Mark Hearld and Emily Sutton’s York Open Studio. scrolling down, I love the surprise of all the bright, beautifully colored birds. yes sir. : ) A treat to tweet about !